The building that today houses the Museo Nacional del Prado was designed by architect Juan de Villanueva in 1785. It was constructed to house the Natural History Cabinet, by orders of King Charles III, and The Museo Nacional del Prado, opened to the public for the first time in November 1819. This visit will take place in chronological order, starting with the exhibit hall where the masterpieces of J. Bosch (El Bosco) (1450-1516) is on display: The table of the 7 deadly sins, The Hay Wain, the temptations of San Antonio and the Garden of Delights. Next we continue with the rooms devoted to El Greco (1540-1614): the gentleman's hand on his chest, the Trinity, Christ embraced the cross and the Annunciation. Then we will enjoy Velázquez (1599-1660): the worship, drunkards, equestrian portraits, the Forge of Vulcan, the Christ, the spinners, spears and las meninas. The guided tour ends with Goya (1746-1828): the family of Carlos IV, pictures the shootings of May 2, pestles and black paintings. - There is no price for children, all ages pay the same price! 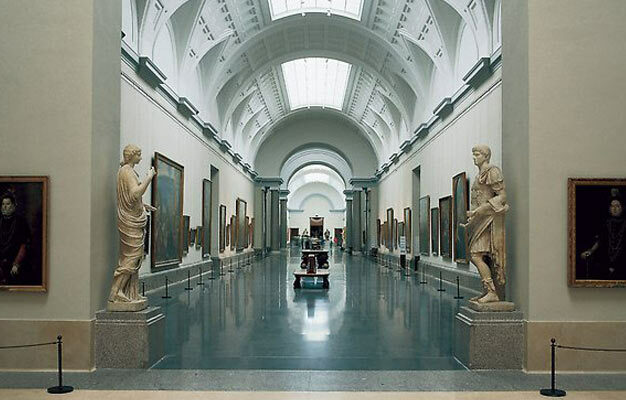 - After the guided part of the tour, you are welcome to stay at the Prado Museum for as long as you like. 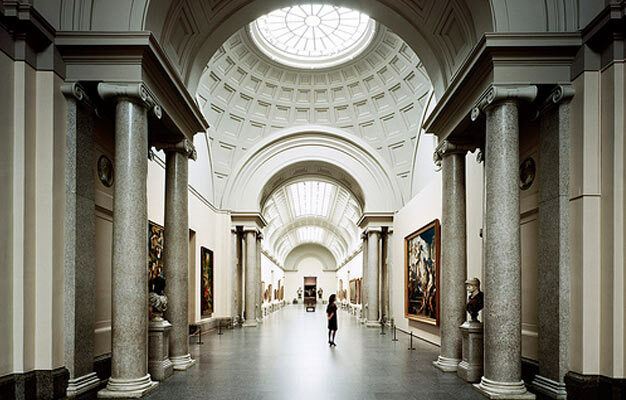 - Prado Museum: Skip the line Tour ends at the Prado Museum in Madrid. April to October: Every day at 03.00PM. November to March: Saturday at 03:00PM. Madrid City Tour Information point. Calle Felipe IV, 28014 Madrid. Next of the Prado Museum.